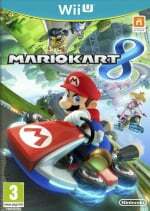 Play: Mario Kart 8 With Nintendo Life on Twitch - Live! Earlier this week we told you about the Tournament we've launched for Mario Kart 8's opening weekend, and as promised we'll be hitting up Twitch for some fun races in Nintendo's Wii U blockbuster. This writer and Anthony Dickens will be your hosts and victims, as we'll be jumping into the Tournament to race, well, whoever shows up. If you missed the details, earlier in the week, this is how you join us for some races. To join in, head to Online Multiplayer and select 'Tournament'. Ours is code-only access, so it's for you. Simply select "Search Using a Code" and input 4199-6769-9674. This tournament will be open from midnight on Friday 30th May UK / 7pm 29th May Eastern until 5am 2nd June UK / midnight 2nd June Eastern. We'll be live streaming on 30th May from 8pm UK time / 3pm Eastern until 10pm UK time / 5pm Eastern. To watch, simply head on over to our lovely Twitch page or, if you prefer, watch in the video embedded below. We're certainly looking forward to some launch day races — see you on the track! Is there an option to save or add codes to a list or in favorites in game? Or we need to input the code every time? @outburst Once you input the code, it should show on your list until the tournament closes. Ah nice. Thanks! I joined while ago and there's no one I think. I might join another time so knowing I won't need to input the code again is a plus. Argh. a tournament I can't join because Nintendo Online Store used Yodel to send my MK8 with a 'guaranteed' delivery today but they have failed to deliver. Looks like I'll have to wait and see if Yodel bother delivering it on Monday now! Damn, I can't even watch the twitch stream with my GamePad (some of them work, though). Argh, the wait is seriously ticking me off! Awesome! Can't wait to participate! On another note, it seems Ninty changed the Wii U eShop music again to be in the style of the big band music found in MK8. Woo! Got first in that race! I'm gonna join in time for the live stream.See you all there. Slowly catching up to Anthony. @ThumperUK That happened to me, I cancelled my order and got it from GAME. I'm now hitting the tracks! Never had so much fun losing atrociously! Going to join now guys! Club Nintendo is having some issues! Have a hard time signing in and getting the game registered. @Jazzer94 Which one are you? @GamerOZO I'm not in your group right now. Left for a bit as I unlocked a huge amount of kart parts. I'm now using the Pipe Frame. Awesome fun that was! this game is rock solid online, isn't it? Awesome! That was AWESOME!!! I even got in the live stream! I'm now uploading a couple videos from the tournament online! MARIO KART IS DA BEST MARIO KART EVARRR!!! I'll join this tournament, as soon as I buy the game. If you saw someone named Ed,that was me.Hopefully I was in the live stream. I'm going to join this tournament as soon as I finish the 50cc speed in grand prix. Either later tonight or a bit tomorrow morning. Go ahead and rub it in. I can't get my copy until next week. Just tried to play this but no one was in the lobby. Join up guys! I'm here, been waiting for this..! Hmmm...no one is in the lobby..? @ThomasBW84 I'll be on tonight methinks. Can you still chat if you dont have miiverse access(long story,im banned.wasnt my fault)? @FalconPunch why not? Let me guess, nintendo uk store messed up? Finished first in the first race I joined ... Then somewhere in the middle and towards the back for most others. Online is a humbling experience but lots of fun! @Marshi I don't live in the U.K. I live in the United States. I can't pick it up until next week since I'm going out of town. What are you using to stream the wii u through twitch? Just curious. I joined and had a great time! Thanks everyone! I just made an account on Nintendolife to post this, have been reading the website for a long time but never said anything. After seeing how positive this community Is I hope I can be part of it! Thanks again and see you again soon on the tracks of Mario Kart 8! @Olivierke @Sonic_Blur_111 It was a lot of fun running a few races with you. @KingCreezy Great fun! Hope to get the chance to race you again! Was fun to see paul , Justin , Diecan & Gabi. See ya next time! Hey ya dinguses I wanna race but I'm in an empty lobby! Just like to thank everyone who I raced against last night. It was fun and a steep learning curve. Just got to figure out now how to talk to people using the gamepad. Looking for more of the same tonight. Hmmm. I may just join in! I will join when I am available my name is William and my mii has the color green for your information XP. I just finished playing, I'm done for now, need to sleep and get to work tomorrow! Great Mario Kart weekend, offline and online multiplayer perfect fun! Ari helped me out a lot, on purpose or not, bumping me in the gravity zones in Rainbow Road 64! For those still playing: Have fun! 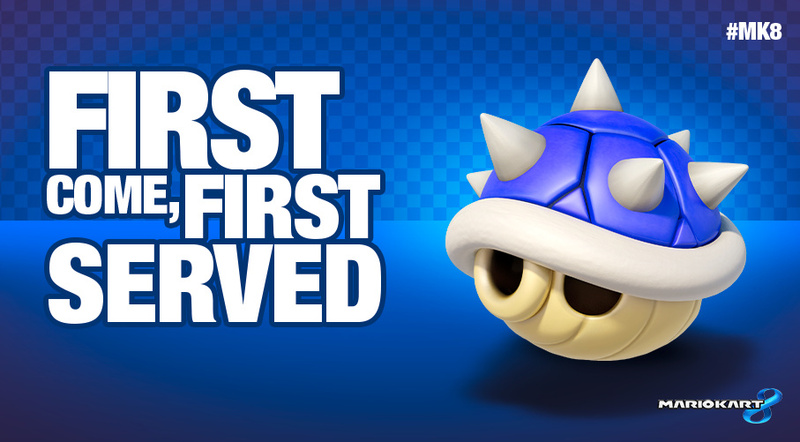 Another great Mario Kart Session, managed 4th on Rainbow Road don't know how more luck than judgement I think. Time for sleep as it's work tomorrow,. That was super fun. Now, back to Advanced Wars~! It's still going on and we're having a blast. !